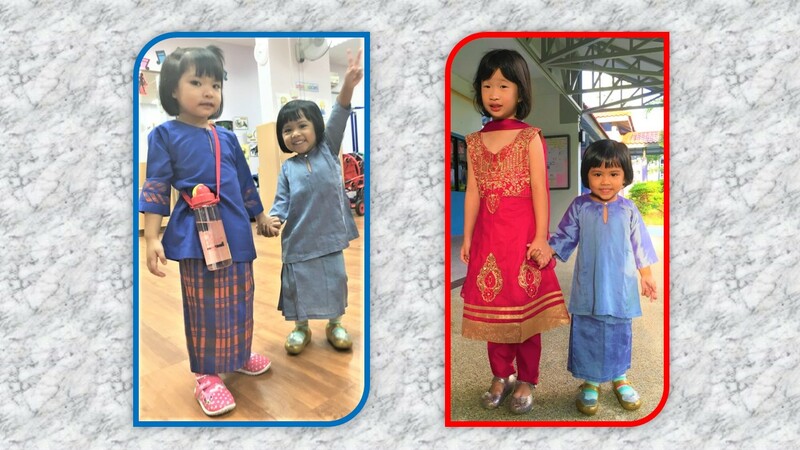 Nur Iffah and her friends Elydia (left) and Li Xin, who are in Nursery 1, passing time a day before while eagerly waiting to participate in the Racial Harmony Day celebration on 21 July 2017 for the first time since they entered school. 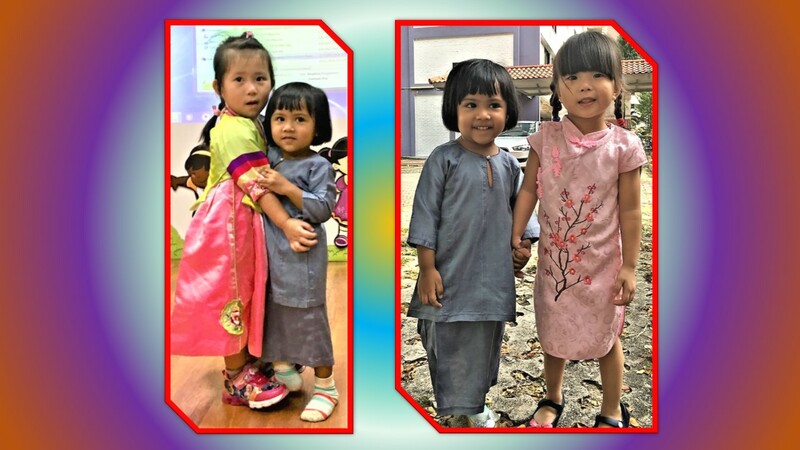 Sparkle Tots Preschool in Bedok North celebrated Racial Harmony Day on 21 July (2017) with a number of activities for two hours, from 8:00 – 10:00 am. All students were encouraged to attend school not in their school uniform but in their own cultural attire and to mingle around and get to know one another. 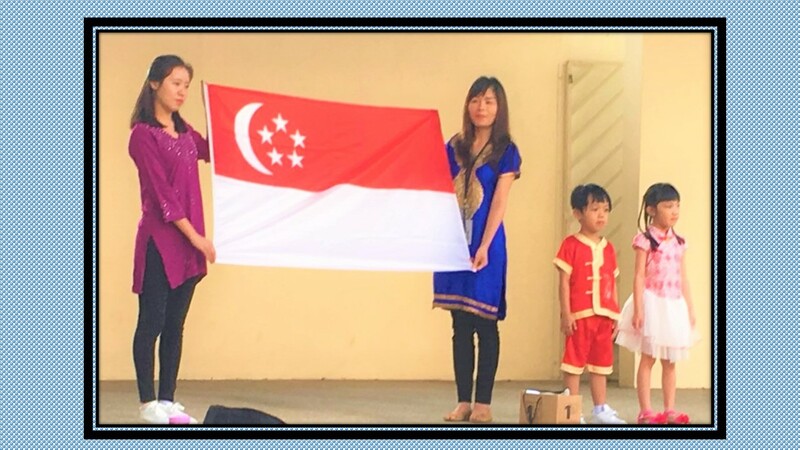 The activities began with the singing of the National Anthem, “Majulah Singapura”, and the taking of the Singapore Pledge at the nearby amphitheatre. Next, the students and their guardians participated in dancing to the beat of songs in the four official languages, with much pomp and pleasure. After the outdoor activities, there was an interactive talk on racial harmony which was followed by a talk on food wastage. The final activity of the day’s programme was the donation of dried foodstuff by the students’ family, which was collected by an official representative, for charity. 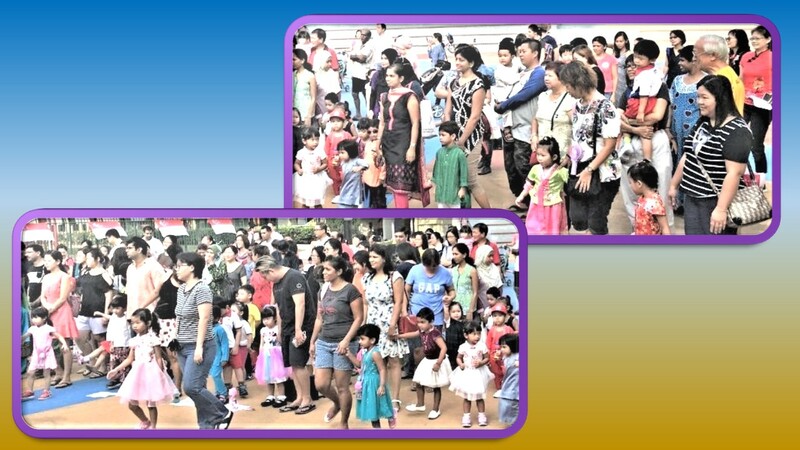 Racial Harmony Day is always, since Singapore’s independence in 1965, celebrated on 21 July each year. It is a day meant to highlight the importance of having peace and harmony in Singapore that comprises people of many races, cultures and religious beliefs. It is important to be always aware of, and maintain, interracial and interfaith relations through tolerance, respect, and understanding. Singapore has thus far been championing such policy for the prosperity and harmony of the country and its people. The photos presented in this article focusses on the participation of the writer’s granddaughter, 3-year-old Nur Iffah Muhammad Imran, a Nursery 1 student. 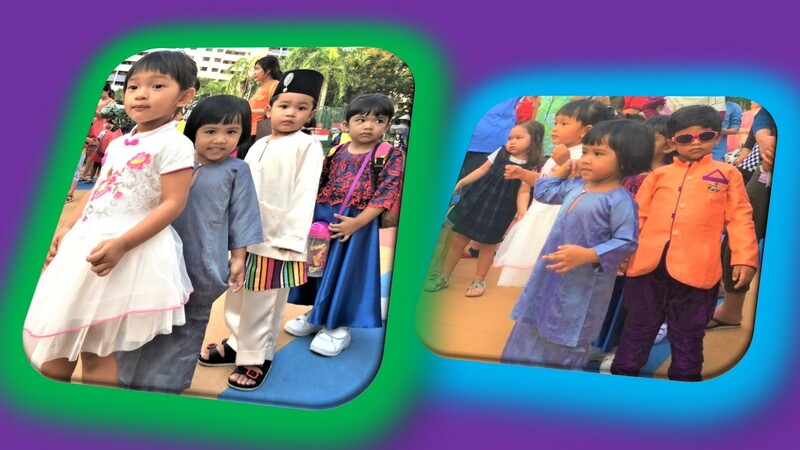 Iffah, who is friendly and readily shakes hands with her friends upon meeting them, enthusiastically participated in the interracial and interfaith activities of the day’s programme. Students and their guardians dancing to the beat of songs in the four official languages of Singapore. Iffah and other students of the school. This particular school conducts four levels of preschool classes – Nursery 1 (N1), Nursery 2 (N2), Kindergarten 1 (K1) and Kindergarten 2 (K2). 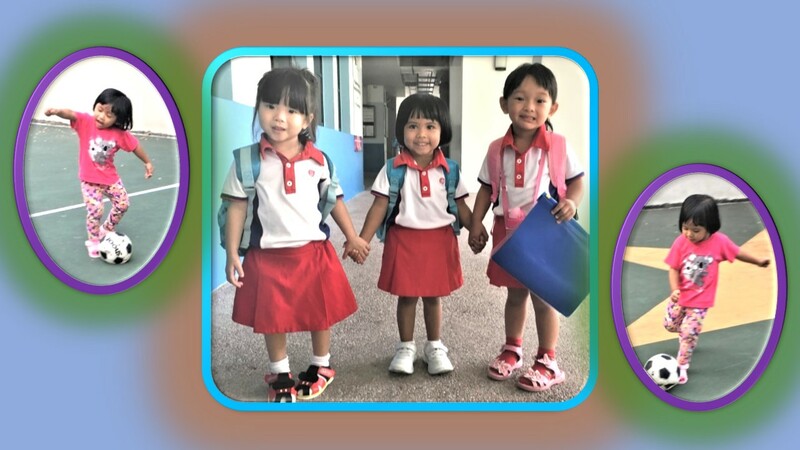 Iffah and her classmate Anisah (left) and Raeann, a friend from K2. Iffah and her classmate friends Elise (left) and Elydia. 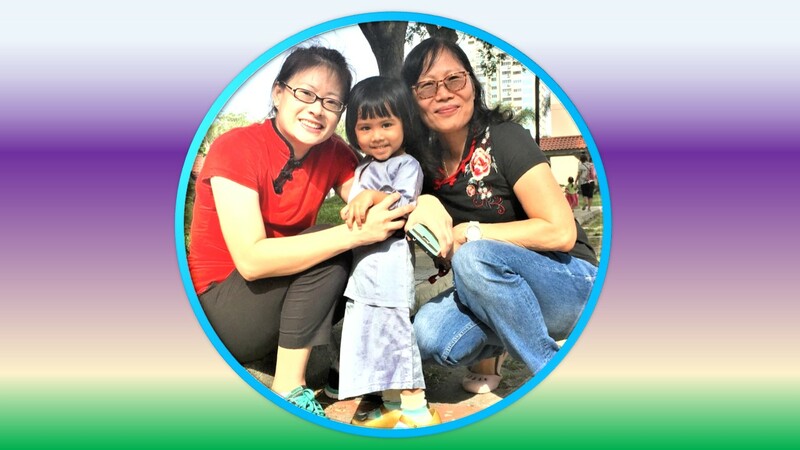 Iffah with Teacher Casey (left) and Teacher Pauline. 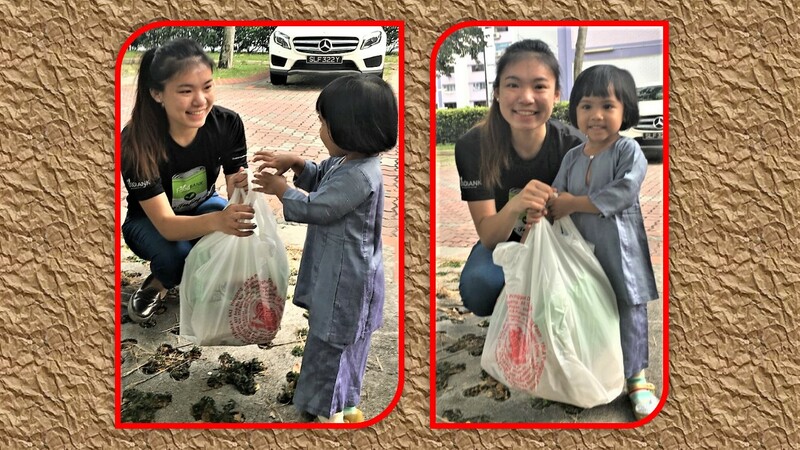 Iffah donating dried foodstuff for charity. 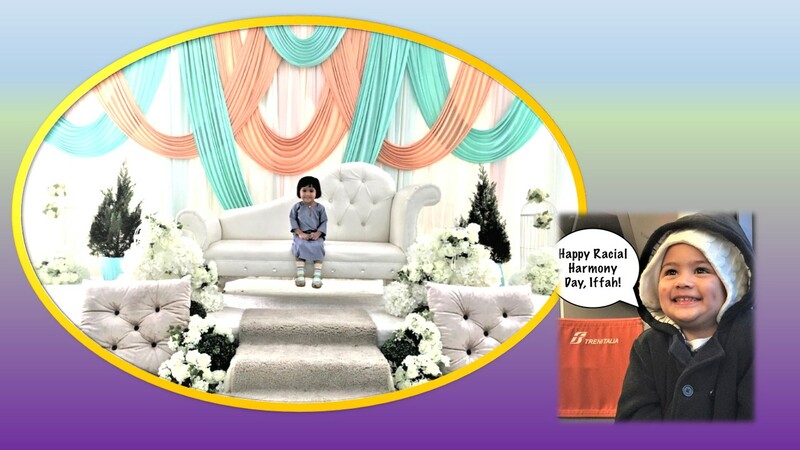 Relaxing on a pelamin (Malay bridal dais): It’s has been a tiring but indeed an exciting and happy day for Iffah. She is thinking of her 4-year-old cousin, Adam Rayan Dula, who is far away in cold Sydney (now experiencing winter) and is not able to join her in the activities of the Racial Harmony Day. It is a good policy for Singapore to get students to mingle with their schoolmates from young so as to get familiar with each other’s cultures and religions to maintain peace, harmony and friendship for the benefit of all. 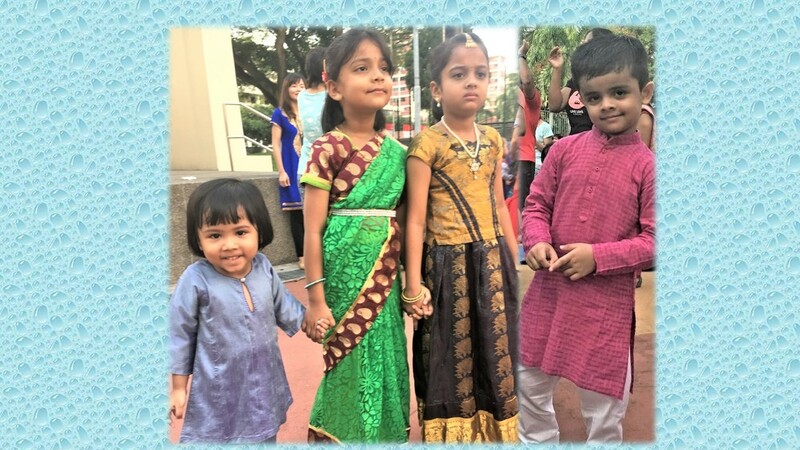 This entry was posted in Iffah's Day and tagged Racial Harmony day, respect and understandng of each other's cultures and religions, training to love friends from young.. Bookmark the permalink.